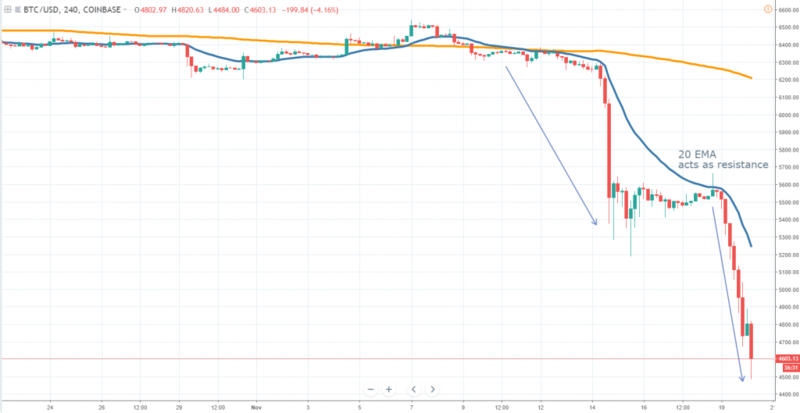 Following the breakout of the 6,000 floor, the Bitcoin price had continued to slump, reaching a low of 4,485 on the Coinbase exchange a few hours prior to the time of writing. We’ve mentioned in our last weekly crypto analysis that buyers will need to rebound sharply and drive the price towards the broken floor in order to be able to generate a rebound. That did not take place and the Bitcoin weakness which started last week continues, with potential more losses on the downside in the near term. As you will notice, there’s no actual sign for a reversal right now in the market and also, nothing in the near-term horizon. If we look at the 4h chart below, we can see two impulsive waves of selling and a short corrective move which stalled around the 20 EMA. Such an aggressive price performance suggests the order flow is heavily biased towards the sell side and at this point in time, there’s no room for buying. We’ve breached below the 5,000 area, which had been a nice rebound zone in 2017. Unfortunately, all the impressive gains which started to build up since October 2017 are now officially erased, raising frustration among individuals who rushed to buy Bitcoin at much higher levels by fear of missing out a strong rally. Since we are now below the 5,000 key support area, we expect the Bitcoin price to edge lower, with no significant support area in sight until 3,500. It could take a few weeks to get there, but the overall market sentiment is expected to remain bearish. Besides the technical picture, we also do not have any major positive news in the near term. Only the new Bitcoin futures contract which will be launched by the Bakkt platform in December is the only significant one. 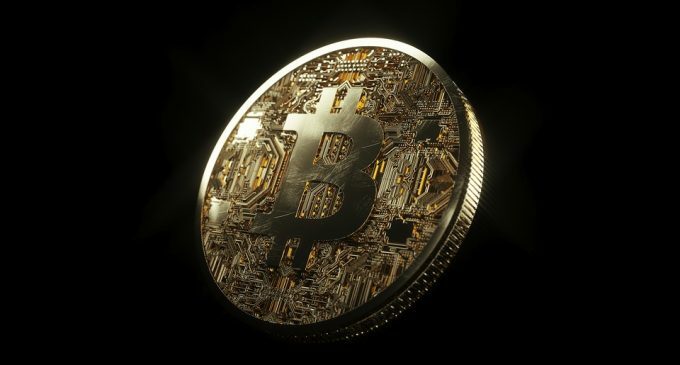 People who would like to get long Bitcoin and ride a new rally should remain on hold while Bitcoin traders can continue to exploit the downward trend with the online brokers who had included Bitcoin on their trading list. Also, we should mention the slump in big US tech companies which continue to edge lower, with each FAANG stock down more than 20% from their 2018 tops. We have a correlation between cryptocurrencies and tech stocks, so we should expect more losses in the near future. There’s no room for a contrarian approach right now since we can’t find any indicator of a potential market turn on the upside.